Beautiful pool, very peaceful location & excellent breakfast & very helpful staff. Gave lots of information about the surrounding area & always willing to answer any questions. Everything was very clean, including the pool, and the bed was very comfortable. The staff was very friendly. Nice rooms, nice pool, nice view, wonderful breakfast. Beautifully appointed and staff very friendly. Great views after a good walk from the harbour. A car would be useful to see the rest of the island as buses are infrequent. The Hotel is really nice: very calm, less than 10 minutes walking from the restaurants. 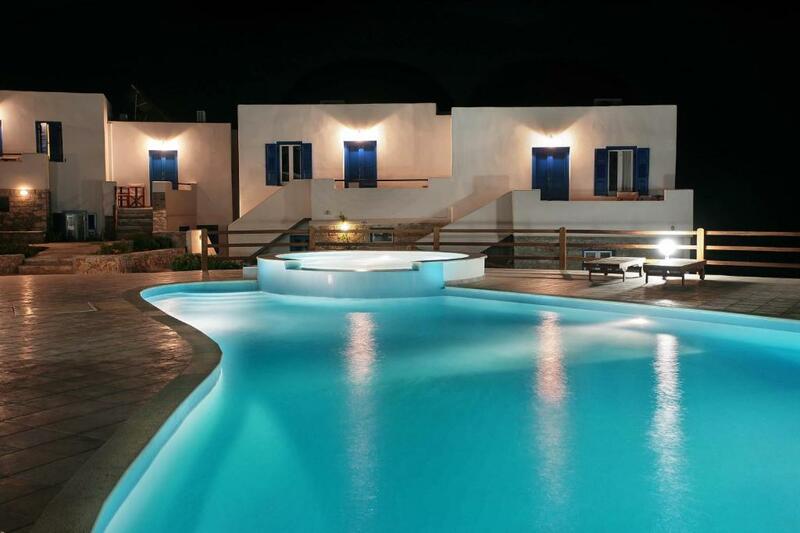 The swimming pool and the room are pretty and comfortable, they match the pictures on Booking. We enjoyed the snacks offered at the hotel that are of a really good quality. We had a great stay on Amorgos thanks to the nice and helpful Hotel Staff. The breakfast was wonderful and the place was so peaceful. The staff were adorable and it felt like home for the few days I was there. Fabulous little hotel with great views. Clean comfortable room with balcony overlooking lovely pool, all the staff were really friendly and helpful. Great choices for breakfast (although additional) and nice to have a bar by pool to come back to for last drink after eating in town. Located uphill out of town so car probably advisable especially for touring around Amorgos which I would recommend. 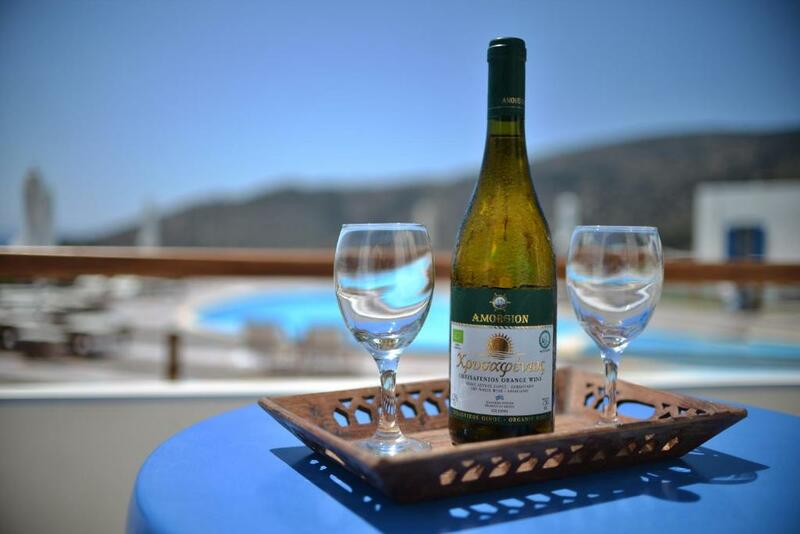 Lock in a great price for Amorgion Hotel – rated 9.5 by recent guests! 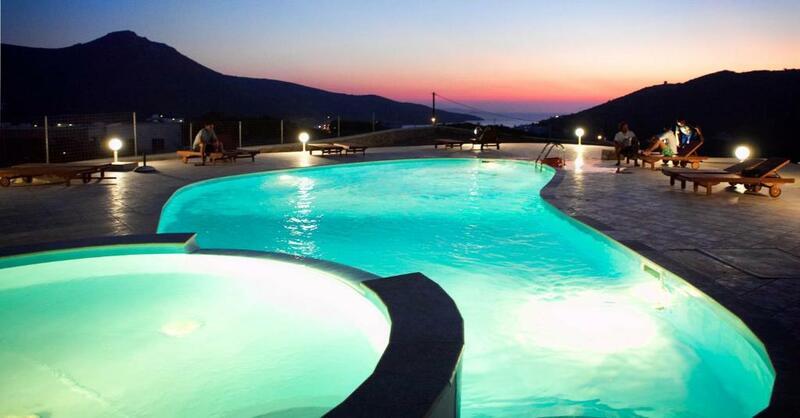 Located 0.6 mi away from the port and beach of Katapola, the newly built Amorgion Hotel is set on an elevated position and has a pool with sun terrace offering panoramic Aegean Sea views. Its elegant rooms and apartments enjoy free Wi-Fi. 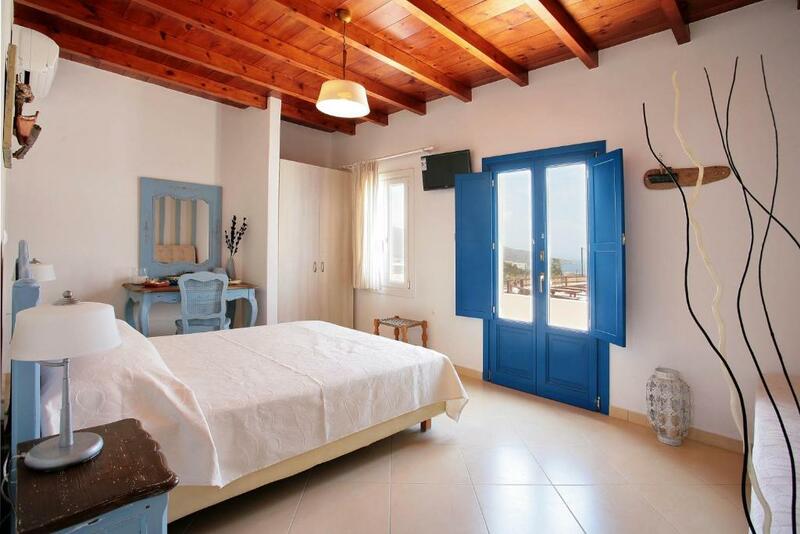 Accommodations at Amorgion is decorated in Cycladic style in soft tones. Each unit opens out to a private balcony, while some also enjoy sea views. They are all equipped with a flat-screen satellite TV, and most include a kitchen or kitchenette. Guests can take a refreshing dip in the free-form swimming pool of Amorgion and later enjoy a drink or snack at the pool bar. The charming main town of Amorgos is 3.7 mi away and Egiali, the second port of the island, is around 12 mi away. Cruises and tour on Amorgion Winery can be arranged upon request. Free private on-site parking is provided. When would you like to stay at Amorgion Hotel? Enjoying sea views from its balcony, this elegantly decorated room has free Wi-Fi, a flat-screen, satellite TV and air conditioning. 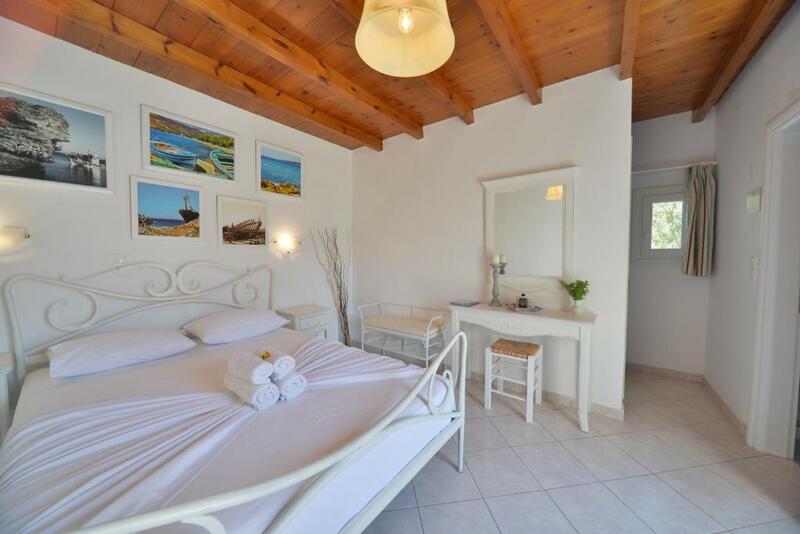 Featuring a kitchenette and a sea-view balcony, this elegantly decorated studio comes equipped with a flat-screen, satellite TV, air conditioning and free Wi-Fi. Elegantly decorated room in soft tones equipped with a flat-screen, satellite TV and air conditioning. It offers free Wi-Fi. Featuring a kitchenette, this elegantly decorated studio comes with a flat-screen, satellite TV, air conditioning and free Wi-Fi. It opens to a balcony with garden view. Featuring a separate bedroom, this air-conditioned apartment opens to a balcony with garden views. 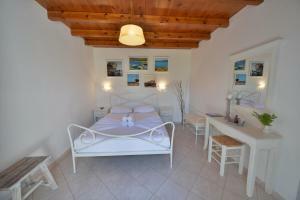 It is elegantly decorated and includes a kitchen, a flat-screen, satellite TV and free Wi-Fi. 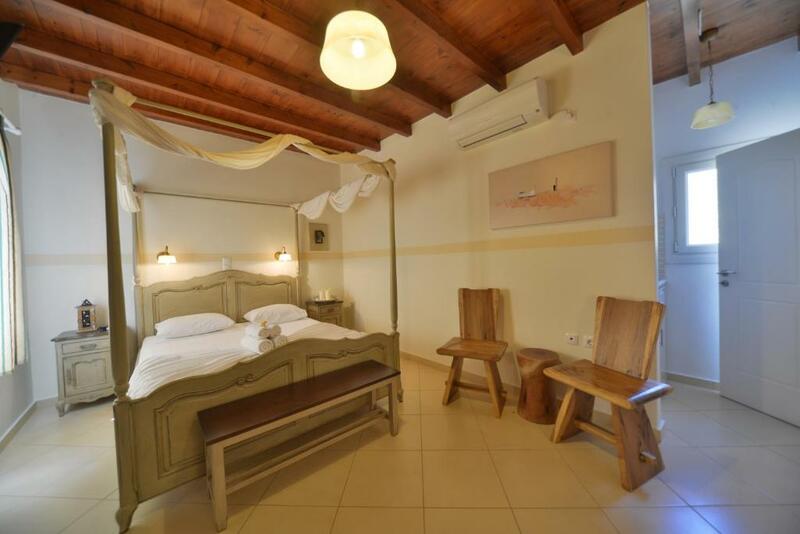 Featuring a separate bedroom, this air-conditioned apartment is elegantly decorated and has a kitchen, a flat-screen, satellite TV and free Wi-Fi. Located on the ground floor, this elegantly decorated room in soft tones equipped with a flat-screen, satellite TV and air conditioning. It opens to a private terrace and offers free WiFi. To Amorgion Hotel, είναι ένα παραδοσιακο, μικρό ξενοδοχείο χτισμένο σε έναν απο τους ωραιότερούς λόφους των Καταπόλων , σε μια ήρεμη αλλά και κεντρική τοποθεσία, έτσι ώστε ο επισκέπτης να μπορεί να ανακαλύψει κάθε γωνιά του νησιού. Η φημισμένη αμοργιανή αύρα βρίσκει την κορύφωση της όταν οι επισκέπτες απολαμβάνουν το μοναδικό ηλιοβασίλεμα των Καταπόλων απο την πισίνα και το μπάρ του ξενοδοχείου! Το πρωινό είναι απο τα πιο ιδιαίτερα κομμάτια της διαμονής, καθώς σερβίρεται ζεστό και λαχταριστό με παραδοσιακές λιχουδιές, απόλυτα προσαρμοσμένο στις απαιτήσεις του κάθε πελάτη ξεχωριστά! Το Amorgion Hotel βρίσκεται στο λόφο της Αγίας Ειρήνης των Καταπόλων, μια καινούρια γειτονία της Αμοργού, απομονωμένη αλλά ταυτόχρονα μόλις 1 χιλιόμετρο απο το λιμάνι των Καταπόλων.Ο επισκέπτης απολαμβάνει την ηρεμία και την ησυχία της περιοχής, ενώ βρίσκεται στο κέντρο ακριβώς του νησιού. House Rules Amorgion Hotel takes special requests – add in the next step! Amorgion Hotel accepts these cards and reserves the right to temporarily hold an amount prior to arrival. A free transfer from the port of Katapola is offered upon request. That it I can not stay there regularly. Staff very helpful, couldn't do enough for us, picked us up from port and dropped us off again on leaving. Even picked us up from Chora when we couldn't get a taxi. Great breakfast and fabulous pool. Nothing to complain about. What a paradise! Nothing. Could not fault it. Location and friendly staff. Room was superb. It is a small walk from Katapola to the hotel. You should not hurry, it's a hot hike. But still not a problem. The hotel is worth it. The best stay ever. Lovely staff, clean and beatiful rooms, peaceful and relaxing, wonderful view and nice poolarea. The breakfast was also great. We had a wonderful stay and are already talking about going back. The island is a paradise. Breakfast was the best ever, fresh fruits with yogurt and honey, filter coffee, cake etc. Very stylish rooms with amazing views, personal was so nice and kind.